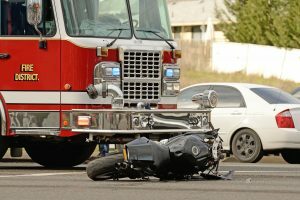 Considered among the nation’s foremost proponents of bikers’ rights, the personal injury attorneys of Inland Empire Motorcycle Law have a vested interest in honoring the memories of motorcyclists who have been wrongfully killed through the negligence of other drivers who were supposed to share the roadway. While all motorcycle injuries caused by such negligence are tragic, wrongful deaths are particularly so. Our personal injury attorneys honor the spirits of those lost in Inland Empire motorcycle accidents by aggressively representing the families left behind in wrongful death lawsuits. What is a wrongful death lawsuit, you may be asking? Isn’t all death wrongful? In this context, “wrongful death” is a legal term referring to any death that would not have occurred but for the negligent behavior of another party or parties. In other words, your loved one would not have been killed in a motorcycle accident if it weren’t for the negligence of another driver on the road. That’s what makes the death “wrongful” in the eyes of the law – and that’s why we want to make sure on your behalf that the person responsible is held accountable in court. If you’ve lost someone you love in a motorcycle accident, please know that we are truly sorry. We’re riders, too, and we know that no amount of money will bring your loved one back. But we can make sure that you’re not stuck with a bunch of monetary losses and expenses you don’t deserve. Contact Inland Empire Motorcycle Law today for an evaluation of your case. If none of these parties exist, then a wrongful death claim may be filed by any party that can provide evidence that he, she, or they would inherit the deceased person’s property by virtue of being the next closest relative or relatives. This may include parents, siblings, or extended relatives who lived with the deceased person at the time of his or her death. WHAT TYPES OF DAMAGES ARE AWARDED IN WRONGFUL DEATH CASES? Part of the challenge of any wrongful death case is skillfully identifying future losses. Our attorneys have extensive experience and a history of success in doing this and thereby achieving top dollar for our clients. To arrange an evaluation of your motorcycle accident wrongful death case, please contact Inland Empire Motorcycle Law today.